We are ARMOUR BIKES - BMX brand from Ukraine. We started as local brand in 2013, since end of 2014 we sell worldwide. 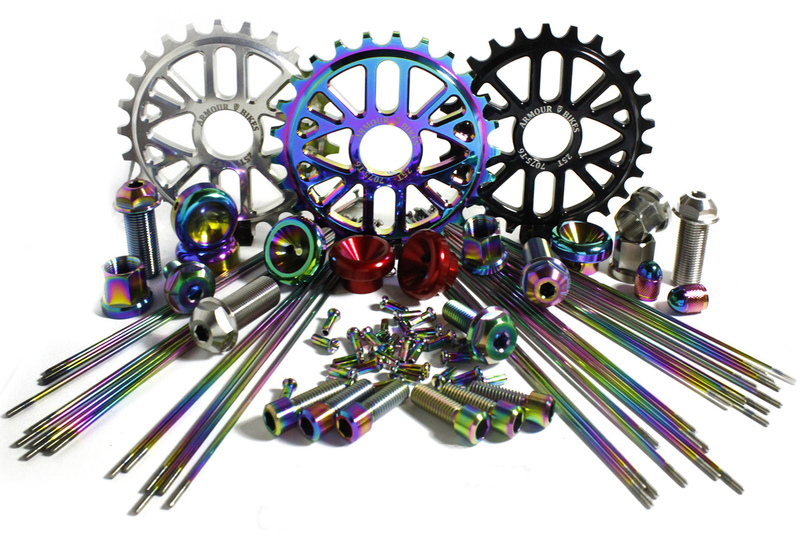 We produce high quality BMX parts: titanium hub bolts and stem bolts, nuts, bar ends, headsets, sprockets, oil slick spokes, flatland pegs etc. If you are looking for titanium hub bolts or titanium stem bolts - ARMOUR BIKES is the best choice for fair value! If you are looking for oil slick BMX parts - we have plenty of them. Best flatland pegs for best value are made by ARMOUR BIKES - try once ride forever.